Erick Erickson has joined CNN. 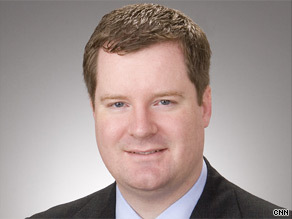 (CNN) - Prominent conservative commentator and RedState.com editor Erick Erickson will join CNN as a political contributor, appearing primarily on CNN's new show John King, USA¸ the network announced Tuesday. Erickson, a self described "obsessive news junkie" who grew up in Dubai and rural Louisiana, will also provide perspective and commentary on other programs across the network. "Joining CNN is like coming home, and being in Atlanta makes the decision right for me and my family," Erickson said in a statement. Under Erickson's leadership, RedState.com has become the preeminent right of center community online. Prior to leading RedState.com, Erickson practiced law for six years and managed a number of political campaigns, and he currently serves as a member of the Macon, Georgia, city council. He studied political science and history and earned a bachelor's degree at Mercer University in Macon. Erickson also earned his law degree from Mercer's Walter F. George School of Law. "Erick's a perfect fit for John King, USA, because not only is he an agenda-setter whose words are closely watched in Washington, but as a person who still lives in small-town America, Erick is in touch with the very people John hopes to reach," said Sam Feist, CNN political director and vice president of Washington-based programming. "With Erick's exceptional knowledge of politics, as well as his role as a conservative opinion leader, he will add an important voice to CNN's ideologically diverse group of political contributors." OK. So now CNN has got Erickson and John King, they can get rid of both of them. how does this effect the balance between left and right viewpoints on CNN? If we did a formal head count on who's who politically, isn't CNN leaning further and further right?